Subtitle: Mommy issues unite us all. Or something. Half of this episode is delightful and the other half is infuriating. So, Once Upon a Time. As the title promises there’s all sorts of mommy drama. 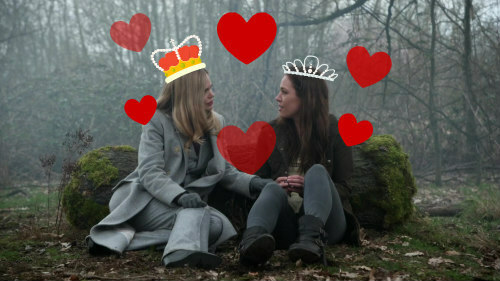 We get the return of Cora – continuing the seasons long mocking of Rumple’s inability to cross realms for generations when everyone everywhere can do it in the blink of an eye, she arrives from her banishment to Wonderland via a ‘borrowed rabbit’ – who has somehow somewhen somewhere chatted with Tink about Regina’s lion-tattooed true love. Since the real Robin is a married do gooder she loops the Sheriff of Nottingham, magics a tattoo onto him and passes him off to Regina as her soulmate. But he’s hilariously bad at pretending to be Happy Ever After material and ends up in the dungeon instead. All that is pretty delightful! But then Regina drinks a potion to make herself barren so Cora can never see her bloodline continue and that is entirely infuriating. One, I hate when any woman is reduced to a baby vessel. Two, this show already has so many problems portraying adoptive parents, did we really need to add Regina’s magically barren biology to it? (No, we did not.) Three, if a potion can break it, a potion can fix it, and that is also a wholly unnecessary storyline I never want to see on this series but now fear is coming. Four, the barrenness is the magic so what was the price? Five, if she did it to end Cora’s bloodline but Zelena is also of Cora’s bloodline and Zelena is now pregnant with the baby of Regina’s true love… a) Regina did it for nothing, b) Zelena wins, c) Cora wins, d) Regina loses, e) WE ALL LOSE, f) probably Rumple wins here somehow, too. Robin and Regina decide to wipe Roland’s memory of “Marian”’s return. Why deal with something if you can magically erase it? They lock Zelena up in a padded cell first season Belle style. 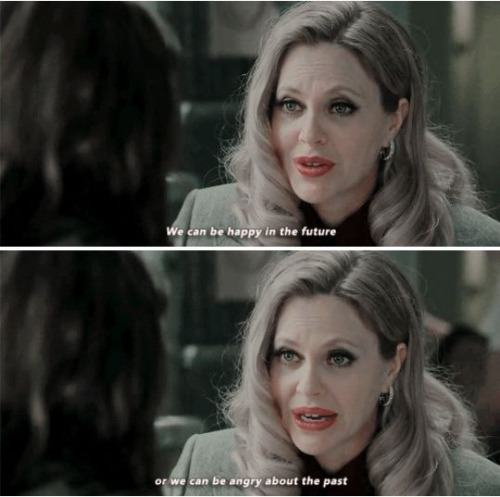 Regina decides the best thing to do is get the Author to write Zelena out of existence. Why deal with something if you can magically erase it? Zelena and Regina fight over who is the most like Cora and sort of kind of almost decide not being like Cora is the best idea and then Regina makes a good choice … But then the Author realizes Regina has given him/Rumple all the power and is not using it herself so he skips out and runs to Rumple and once again Regina is immediately punished. And Maleficent is distraught that her daughter plans to leave as soon as possible. Scared she’s going to lose Lily just as she finally got her back Mal enlists Snow and Charming to help convince her to stay in Storybrooke a little longer. The unlikely trio find Lily in dragon form – the Author needed the blood of the Dark Savior to use as ink in order to rewrite everyone’s history and Regina was clever enough to prick Lily (and thus turn her into a dragon because sure) to get it, proving that Rumple and Regina together would be a formidable villain if they could get along for more than 30 minutes. Mal tries to approach her calmly and gently and soothingly but Snow decides Dragon-Lily is dangerous and rushes to stand in front of Maleficent. She succeeds in getting thrown back into a rock by dragon fire. Luckily Emma appears on the scene to magic away the injury (that’s helpful…) and the danger + Hook’s advice to believe in the good in people and let that be enough (at first I thought it was weird that Maleficent and Hook were the most well-adjusted people this episode but actually with their histories it makes perfect sense and I love it and I want them to interact sometime too) … is enough for Emma to stop punishing Snow for wanting to protect her even if she went about it in a pretty terrible manner. So. Yay. Fathers, by the by, were not important to the story being told. Henry Sr. was hilariously dismissed by both Regina and Cora. 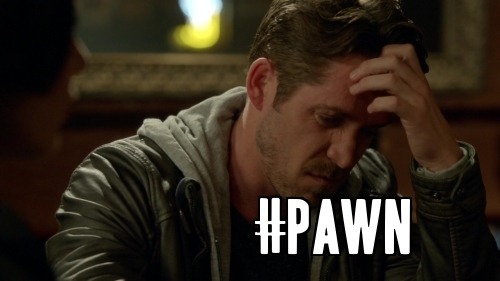 Robin is as much a pawn for Zelena as Marian was. 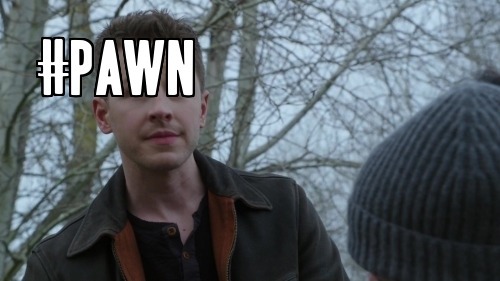 And David is basically an appendage of Mary Margaret’s. It’s implied that Emma was angry with him, and has now forgiven him, but it was all much more about Snow. Lily turns back into her human form and admits to her mother that every relationship she’s ever tried to have has ended in disappointment and despair due to the darkness inside her and she’s running away because she’s afraid to hope it could be different with Mal. Mal tells her she’s not afraid of darkness and Lily agrees to stay a week. This is my favorite ‘mothering’ scene in the episode, Lily and Maleficent are everything I want them to be, and I just want to draw hearts around their heads. But as hinted above, the Author escapes to Rumple’s and the two prepare to wreak havoc on the space time continuum or whatever it is that guides our Storybrooke/Storybook heroes and villains. TO BE CONTINUED.